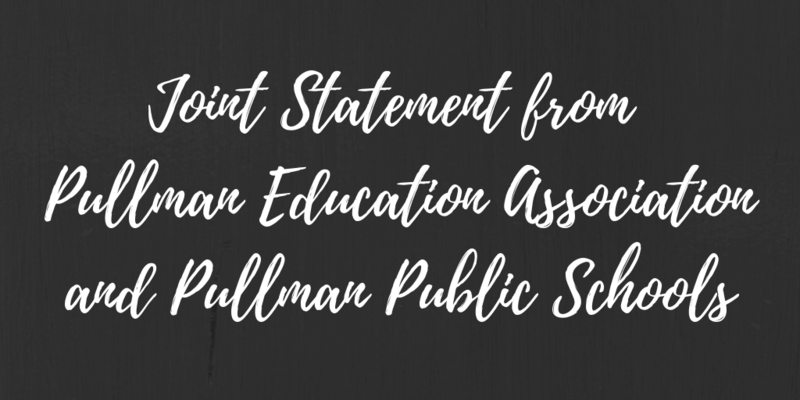 Since August of 2018, PEA representatives Tiffany Moler and Rena Mincks have met twice monthly with Superintendent Bob Maxwell, Assistant Superintendent Roberta Kramer, and Communications Coordinator Shannon Focht to collaboratively discuss matters of importance to both parties. In addition to the items included in the PEA’s resolution, other items of interest are discussed proactively. 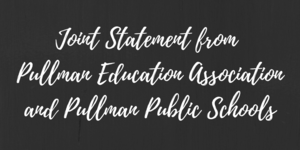 We are excited at the growth our district is seeing as a result of the mutual trust, respect, and positive intentions modeled in this collaborative relationship. We look forward to continuing these meetings and seeing great growth as a district, which in turn leads to positive outcomes for our students!